Here at Alan Roche Photography, we are excited to help you capture wonderful happy memories. We are available for weddings, portraits, events and school photos. 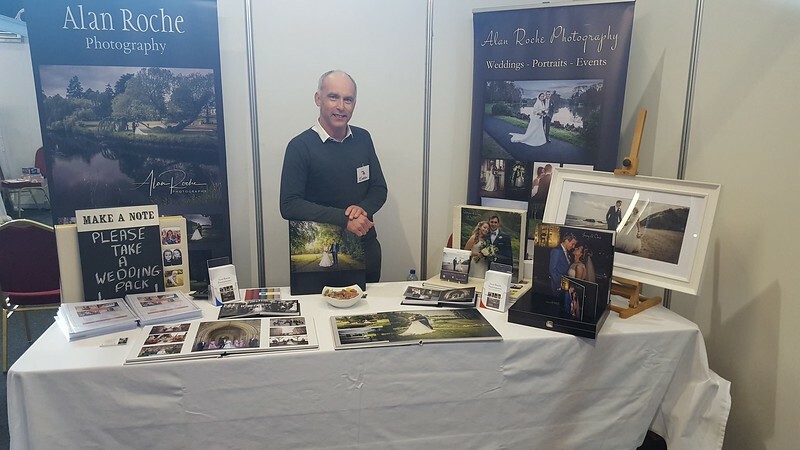 Alan Roche is an award winning Photographer with a relaxed, friendly approach specialising in stylish, modern, professional photography at popular locations and venues. Alan's work continues to go from strength to strength, with only recently being named as a finalist in the 2019 weddings-on-line awards for photographer of the year. He has also had a wedding that he photographed in Powerscourt Hotel Wicklow and the K-CLUB Kildare featured in the wedding section of the Irish Times. Alan also has commissioned work for Irish Tourism, Guinness Ireland, Zurich Insurance, property agents, hotels and schools. He has photographed weddings at Mount Juliet, Marlfield House Hotel, Waterford Castle, K-Club, Castlemartyr Spa and Golf Resort to mention a few. For your convenience all your photos will be available to view and order through our secure password protected pages, enabling you to select your favourite pictures from the comfort of your own home. We have complete "all inclusive" competitively priced Wedding package's as well as a range of great value quality prints and products.Should you require any further information on Wedding Packages then just fill out the contact form with your details and Alan will reply promptly. You can also contact Alan at the following numbers - 0539128506 and Mobile 087 6217962 or by email - alanrochephotography@gmail.com. Wexford and landscape photos are now available to purchase from this website. Just click on the "BUY" button in the Landscape/Wexford Photos gallery.